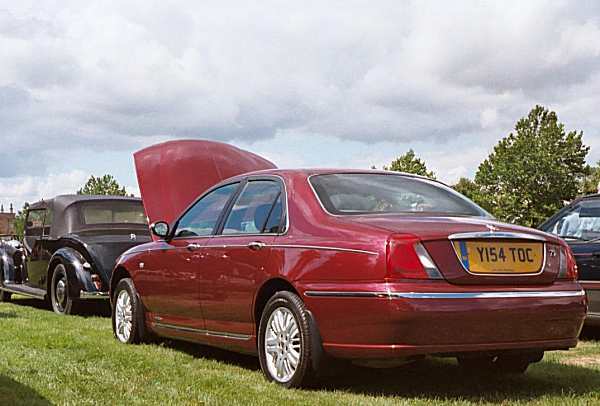 After some years in the executive car wilderness (thanks to underinvestment in marketing) Rover made a comeback to the bigtime with its new 75, which exploded onto the scene at the end of 1998. 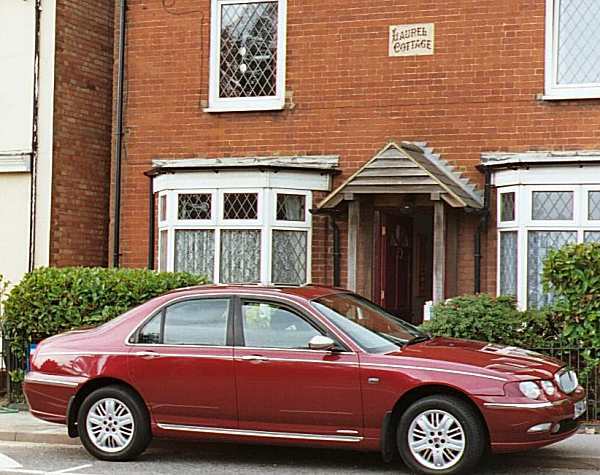 This month’s car of the month is a very fine 29,000-mile example owned by Michael McCabe, and seeing it makes one wonder if MG Rover really needed to spend its money on the 75 facelift, when perhaps it should have saved it for something more vital… like the 45! 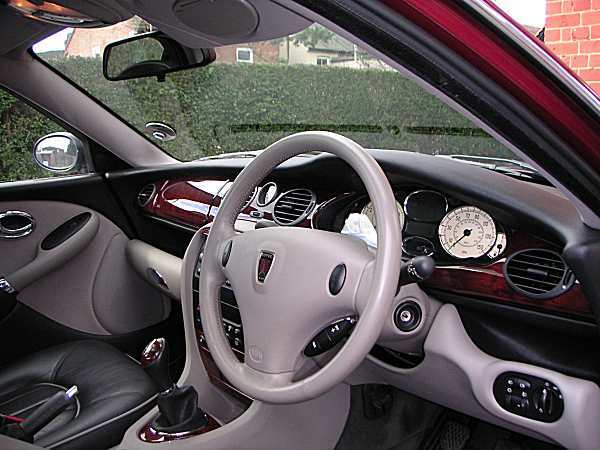 This 2001 Rover 75 Connoisseur V6 in Copperleaf pearlescent is a fine example of the breed… Richard Woolley’s design looks good from most angles, and unlike most cars, does not seem to be that “colour sensitive”. Michael absolutely cherishes his 75, and as an active member of the Rover Sport Register, he will happily extoll its virtues all day long. His example is An early Longbridge-built 75 Connoisseur, with the real wood dashboard cappings, full set of badges (the cost cutting had not started in 2001). In a very nice shade of Copperleaf Red, topped off with Union alloy wheels, it turns heads on the road. Bought in early 2003 from a dealer in Aylesbury, Michael has pampered the car to the point of obsession: “My partner feels like she’s been divorced. She loves it but daren’t drive it in case she does something to it…” That pampering resulted in Michael’s car coming runner-up in class (1990 to 2003) at the Rover Sport Register 50th Anniversary Rally at Blenheim last summer. Been off the road since 2013. Sad.